It took Charles Horton, a Dallas-based businessman, years before he managed to build up the courage to walk over hot coals. A longtime fan of team-building exercises, he knew how empowering it was supposed to be — but he just kept chickening out. When he finally did it, he cried. “It was so moving for me.… I had made it such a big thing for so many years,” he said. 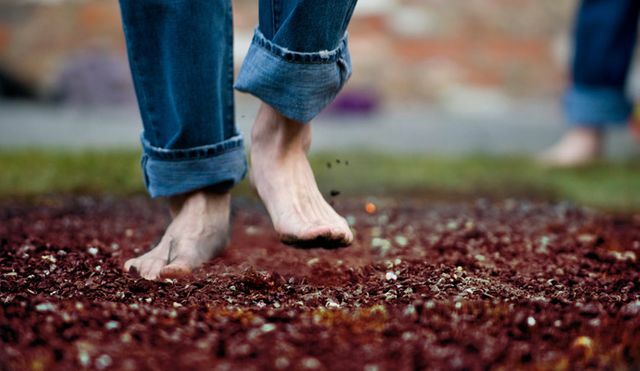 “I believe now that my mind is more powerful than I thought it was.” A serial entrepreneur, he has become a certified firewalking instructor and runs a company that facilitates firewalks for people who want a team-building exercise that’s a bit different.